Perhaps one of the best-known names in the British bathroom market, Armitage Shanks was founded in 1817 and still manufacturers at its original base in Armitage, Staffordshire. 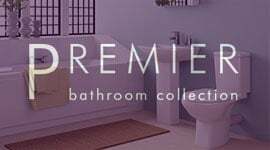 Their range is extensive and comprehensive and includes absolutely everything you could possibly need whether you're fitting a new bathroom or just fancy giving an existing one an upgrade. Take a look through our range of Armitage Shanks products and you'll find complete bathroom suites offering superb value, baths, toilets, sinks and specialist products such as grab rails and bathroom furniture which has been specially designed with accessibility in mind. Armitage Shanks' reputation for quality has been built up over 200 years; we're sure you'll find the perfect products for you made by this iconic British brand. The range contains products ideal for both traditional and modern bathrooms, and we've worked hard to bring you the entire range at prices which represent exceptional value for money. 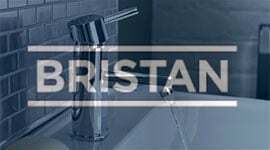 Armitage Shanks are dedicated to providing a wide range of products for use in both commercial and residential bathrooms. 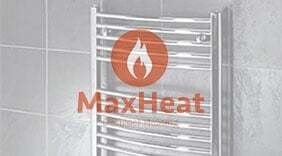 Every piece is designed with performance and durability in mind, as well as fulfilling all the requirements of current building and health regulations. 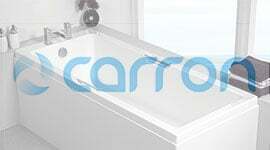 This ensures that their bathroom products can be installed into any environment with absolute confidence. By holding all their products to the same exacting quality standards, Armitage Shanks make it possible for customers to mix and match different styles to create their desired effect. Though the majority of their current range is defined by contemporary design, Armitage Shanks has been one of the leading names in British homes since 1817. 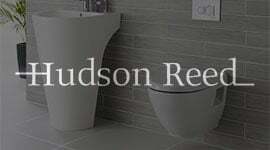 In respect of this proud history, a number of traditionally styled toilets, wash basins and bathtubs are available, meaning there is something in their catalogue for homes of any age and every design aesthetic. 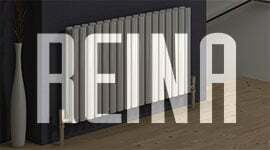 Modern designs emphasise the "soft-edge" philosophy, resulting in items that are smooth, welcoming and harmonious. This soft, neutral design, as well as superb durability, makes these products ideal for installation into commercial areas such as contemporary public bathrooms. 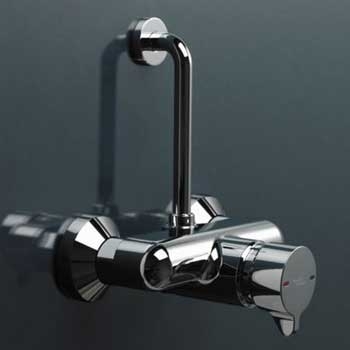 Not simply a visual ideal, the "soft-edge" attitude extends to Armitage Shanks' environmentally friendly materials and special features intended to reduce water consumption. Now two centuries old, Armitage Shanks first began producing sanitaryware in 1850 and expanded their operations to become synonymous with bathrooms in the 20th Century and beyond. They recognise that the bathroom is no longer purely a functional room and is a space to express oneself through design and decoration choices. The bathroom is a dynamic area that needs to cope with the morning rush but also provide a relaxing space for unwinding during the evening before going to bed. Armitage Shanks focus on creating products that meet these requirements with beautiful designs that are also being made to last. Their expansive range is fresh, diverse and elegant at any time of day. Armitage Shanks are keen to ensure that their products can be enjoyed by everybody. 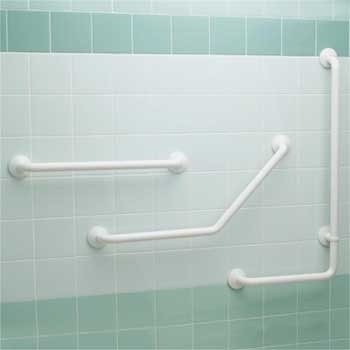 To this end, they offer grab rails to make it easier for people with mobility difficulties to navigate their bathrooms. 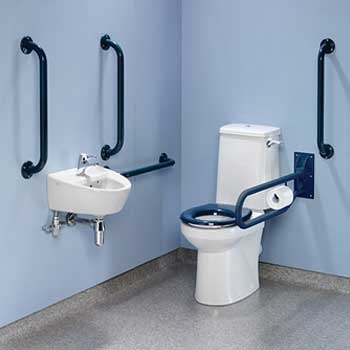 They also produce Doc M packs, allowing you to buy a complete disabled toilet or shower area that is compliant with all the most recent healthcare regulations and suitable for installation in both residential and commercial properties. As evidence of confidence in their products and commitment to their customers, Armitage Shanks include extensive guarantees with their products. These include a lifetime guarantee on all ceramics, meaning their bathtubs, basins and toilets can be enjoyed for decades to come. Mechanical parts such as taps and mixers are protected for 5 years, while toilet seats and cistern fittings are guaranteed for a year. In the rare cases where a product fails during its guarantee, Armitage Shanks provide a replacement unit, part or a suitable equivalent. These generous guarantees even continue to be valid on the product if it is later sold, so long as its registration is transferred to the new owner.